Carolyn Bosher Maloney was born on February 19, 1946, in Greensboro, North Carolina. After earning a B.A. from Greensboro College in 1968, she worked as a New York City Board of Education employee (1972-76); a legislative aide and senior program analyst for two New York State Assembly committees (1977-79); an adviser and director in the office of the New York State Senate’s minority leader (1979-82); and a Democratic member of the New York City Council (1982-92). She also volunteered for Mario Cuomo’s mayoral and gubernatorial campaigns in 1977 and 1984, respectively. In 1992 the voters of New York’s 14th Congressional District elected Maloney to the U.S. House of Representatives, where she has served ever since, though in 2013 her district was renumbered as the 12th. Maloney is also a member of the Congressional Progressive Caucus. Favoring “comprehensive immigration reform” legislation that would “offer hardworking immigrants an earned pathway to citizenship,” Maloney has co-sponsored many bills designed to help pave such a path. She is also a longtime supporter of the DREAM Act, intended to normalize the status of illegal immigrants who first came to the U.S. as minors and are still younger than 35. For information on Maloney’s voting record on a wide range of key issues, click here. Maloney is a member of Americans for Democratic Action, Common Cause, the National Organization for Women, and the Sierra Club of New York City. Her political campaigns have been supported and/or endorsed by the Council for a Livable World, EMILY’s List, the Working Families Party, Gloria Steinem, and economist Joseph Stiglitz (an affiliate of the Socialist International). 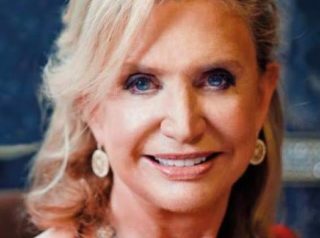 For more information on Carolyn Maloney, click here. Further Reading: “Carolyn Maloney” (Ballotpedia.org, Votesmart.org, Keywiki.org); “House Dem’s Anti-Vax Past Comes Back to Haunt Her” (Daily Caller, 6-13-2018); Carolyn Maloney’s Positions on Key Issues (OnTheIssues.org).